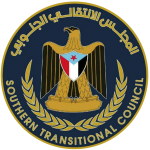 Following today’s Foreign Affairs Council discussion on the situation in Yemen, I write to you on behalf of the Southern Transitional Council (STC) to urge you to address the plight of the Southern people. We welcome the leadership demonstrated by the EU in response to the humanitarian crisis in Yemen. This was re-affirmed by the EU and European Member States’ generosity at the Yemen pledging conference on 26 February. As long as this crisis persists, innocent people on the ground will continue to need your support. But their needs extend beyond humanitarian relief; they need protection from violence, displacement, and a credible path for a democratic, stable, and sustainable solution. The answer lies in a comprehensive negotiated political deal on all political issues, particularly the South. This is why we commend the work of UN Special Envoy Martin Griffiths, and why we continue to engage with him and his efforts constructively. This was the message that I and STC representatives delivered in London last week in meetings with British officials and Parliamentarians. As I set out in those engagements, our goal is firmly a lasting and inclusive political solution for the benefit of all on the ground. And we are prepared to take constructive action to deliver this objective. This is our duty to the Southern people. A key focus right now is on the Stockholm deal, and I welcome the EU’s commitment in the 18 February Council Conclusions calling for immediate compliance with the agreement. Even though the STC was not at the Stockholm talks, we support any initiative that seeks to stop the fighting and protects civilians. This is why we urge international action that holds the signatories of the Stockholm deal to account. But what was agreed in Stockholm is a means to an end and not the end itself. We must be clear that the narrow focus on Hodeidah does not mean we can ignore what is happening elsewhere or other elements of a comprehensive deal, and in particular the situation in the South. In this regard we welcome the urgency shown by the Permanent members of the UN Security Council in their joint statement on 12 March pressing for immediate implementation of the Stockholm deal. Humanitarian assistance. The situation for our people remains dire, in particular for the internally displaced population in the South. 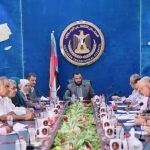 Aid organisations lack adequate access to Southern governorates. Lack of essential goods such as food, fuel, and medical supplies, as well as corruption and aid diversion further exacerbate inhumane conditions. We therefore urge you to earmark EU funding to ensure aid will be delivered equally across northern and southern governorates. The STC stands ready to assist with access and free space for civil society. Building resilience and support for such actors is critical for the long term future of the South. Inclusive political process. We welcome international commitments to an inclusive and broad political process. This is exactly what the crisis needs. But there is a disconnect between this intent and the current process. Right now the South is being left to two warring parties who have no legitimacy or credibility in the eyes of Southerners. It is inconceivable for our constituency and security forces from the South to accept the outcomes of a political process that excludes them, their interests, and their legitimate aspirations. We urge the EU to support the UN Envoy by ensuring he has a broad mandate and political cover to bring legitimate representatives of the South to the table. Past political efforts. The 2014 National Dialogue Conference (NDC) represents one of the references for the Yemen political process. Although productive on some issues, the NDC failed to address the South issue. A key issue was the lack of genuine Southern voices in the process. Instead we had a sham of actors aligned to the authorities in Sana’a dictating outcomes for the South. This was further compounded when the NDC missed its concluding deadline over the future status for South Yemen. Widespread conflict erupted less than a year later. This was no coincidence. Territorial integrity. We understand the EU’s focus on ‘Yemen’s territorial integrity’. But the facts on the ground prove that a return to the status quo of pre-2014 of a united Yemen is not a realistic aim. The STC and other political groups in the South seek self-determination, and we are clear that the outcome of such a process is for the people to decide. But the Southern cause is very unique and should be understood in its historical context. We were an independent state until 1990 with international recognition, a seat at the UN, and independent state institutions. Such circumstances make our quest for an independent South different and more robust, aimed at restoring – not challenging – stability in the region. Gender equality. South Yemeni women and girls currently rank among the most vulnerable groups as a result of the broader marginalisation of the South. In addition to the devastating circumstances of famine and disease, women are subject to gender-based violence, abuse, and exploitation. The STC is committed to supporting women and ensuring their inclusion within the STC and its leadership structures. Southern women must be assigned a prominent place in the political process to ensure these gendered vulnerabilities are tackled. I reiterate the STC’s commitment to reaching a political solution to end this devastating conflict. In reflecting on the above, we look to work with our European partners to bring about a truly inclusive solution for the South. I have copied this letter to EU High Representative Ms Federica Mogherini, and UN Special Envoy Mr Martin Griffiths.